Charles Dickens, the most popular writer of the Victorian age, was born near Portsmouth, England, in 1812 and died in Kent in 1870. When his father was thrown into debtors’ prison, young Charles was taken out of school and forced to work in a shoe-polish factory, which may help explain the presence of so many abandoned and victimized children in his novels. As a young man he worked as a reporter before starting his career as a fiction writer in 1833. In his novels, short stories and essays, Dickens combined hilarious comedy with a scathing criticism of the inhuman features of Victorian industrial society. 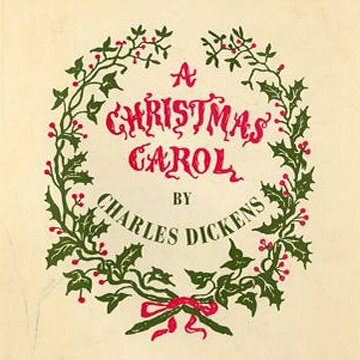 In A Christmas Carol Dickens wishes to raise awareness of social inequality in Victorian England. Among the many sources of suffering for the poor were the workhouses, public establishments that provided them with housing at the expense of brutal treatment. Social inequality: Who is responsible for the well being of the less fortunate? -Scrooge has more money than anyone else it town. Childhood: Does an unhappy childhood necessarily lead to an unhappy adulthood? -If you have a sad life and keep it that way, you will move on with your life that way. -If you feel down about yourself, you won't feel good in your adulthood. -If you have a bad childhood and feel sorry for yourself, you won't be excited for adulthood. A change of heart: Can human beings change their behavior for the better as Scrooge does? -Yes, they can. We saw that with Tiny Tim. He didn't want Tiny Tim. -His nephew was so joyful when Scrooge had a change of heart. Why doesn't he go to his nephew’s house for Christmas? -He didn't want to because he isn't a very jolly person. -Scrooge doesn't like Christmas and his nephew is all about Christmas. Marley thinks that some people walk the streets of the world when they are dead. Why does he think they must do that? Do you think there are ghosts around us? -I think that are ghosts around us because they wanted to watch Scrooge be mean. -I think that the ghosts come back and walk the streets in the book because they want to change what they have done wrong. -The ghosts walk the streets. -If a relative has died, they might be watching us to see how we are. Dead relatives might want to see how their relatives grew up in the future. -Ghosts probably can't interfere with the future. -Sometimes in movies, ghosts can become people. -Ghosts can be hurt by the sun. Scrooge loved the following books as a child: Ali Baba and the Forty Thieves and Robinson Crusoe. What do these books have in common? What are some of your favorite children’s stories? -These books are all about bad things. -Once Scrooge understood money, he realized that he wanted it. -The Cat in the Hat books. Now I like the Bone books. -I like reading sports books or famous people (sports players and teams). -I like Emily Windsnap because it has mermaids and monsters. It was agreed that we almost all found this book hard to read. On a scale of 1-5, there were two "1"s and three "3"s.
For Book Club in February, we will be reading the book My Side of the Mountain by Jean Craighead George. We will be meeting on Wednesday, February 4th at 3:00 p.m. As always, snacks will be provided. Please be sure to pick up your book at the Circulation Desk and sign up for Book Club for each session that you attend!